Thu., 13 Jun. - Sat., 15 Jun. Wed., 5 Jun. - Wed., 5 Jun. Fri., 24 May - Tue., 11 Jun. Tue., 4 Jun. - Sun., 30 Jun. Tue., 9 Jul. - Thu., 11 Jul. Mon., 3 Jun. - Thu., 15 Aug. Mon., 24 Jun. - Wed., 10 Jul. Fri., 5 Jul. - Tue., 9 Jul. See all 50 properties in Regina Intl. 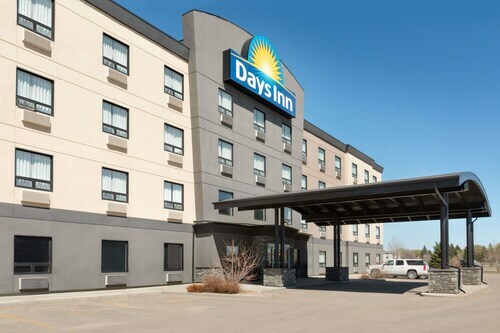 Situated in Regina, this hotel is 0.8 mi (1.3 km) from Norseman Park and within 3 mi (5 km) of Southland Mall and Lakeview Golf Course. Mackenzie Art Gallery is 2.7 mi (4.3 km) away. 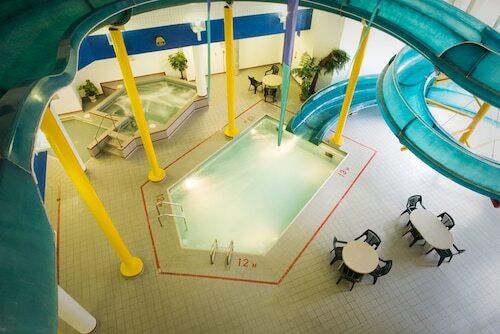 This family-friendly Regina hotel is located near the airport, within 1 mi (2 km) of Southland Mall and Mackenzie Art Gallery. University of Regina and Casino Regina are also within 3 mi (5 km). 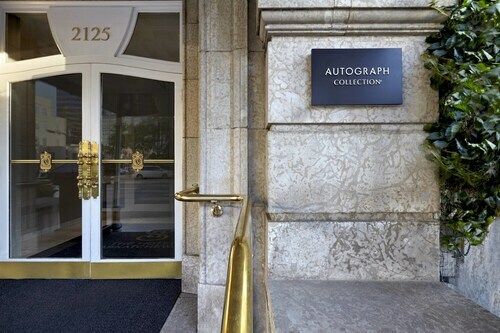 This family-friendly Regina hotel is located near the airport, within 1 mi (2 km) of Government House and Mosaic Stadium at Taylor Field. Casino Regina is 1.8 mi (2.9 km) away. 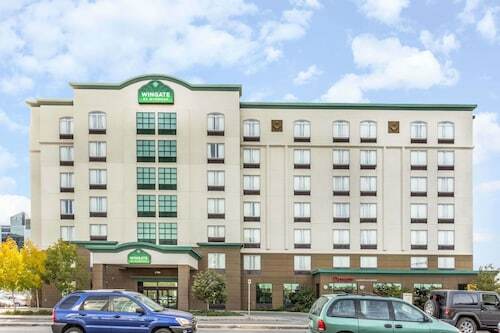 This family-friendly Regina hotel is located near the airport, within 1 mi (2 km) of Globe Theater, Casino Regina, and Mosaic Stadium at Taylor Field. University of Regina is 2.8 mi (4.5 km) away. 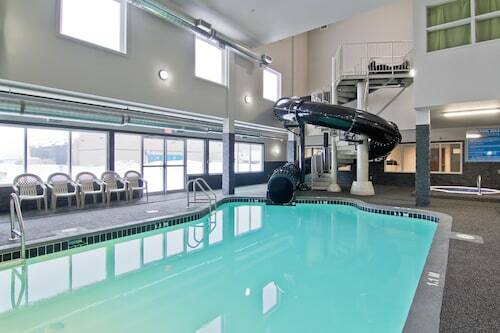 Located in the heart of Regina, this spa hotel is within a 15-minute walk of Dunlop Art Gallery and Casino Regina. Mosaic Stadium at Taylor Field and University of Regina are also within 3 mi (5 km). Situated near the airport, this hotel is 0.7 mi (1.2 km) from Norseman Park and within 3 mi (5 km) of Southland Mall and Lakeview Golf Course. Mackenzie Art Gallery is 2.7 mi (4.4 km) away. 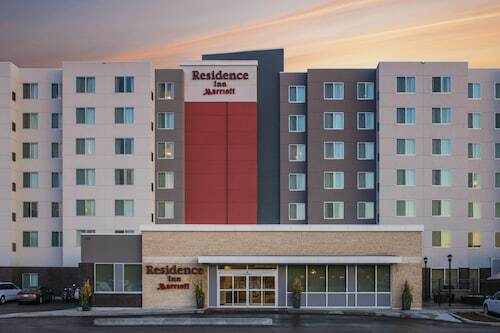 Located in the heart of Regina, this eco-friendly hotel is within 1 mi (2 km) of Globe Theater, Casino Regina, and Mosaic Stadium at Taylor Field. University of Regina is 2.7 mi (4.3 km) away. 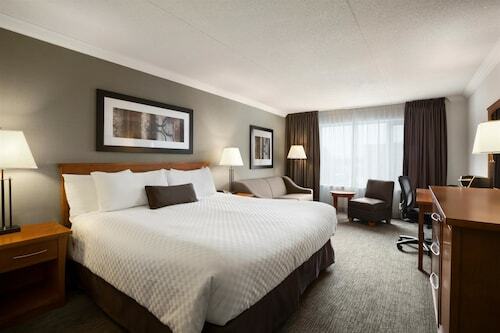 This family-friendly Regina hotel is located near the airport, within 2 mi (3 km) of Regina Floral Conservatory, Mosaic Stadium at Taylor Field, and Casino Regina. Cornwall Center and Dunlop Art Gallery are also within 2 mi (3 km). Question : How many flights are there per day from Vancouver to Regina? Answer : The number does differ by the day of the week, but on average, you can expect five different choice of flight times when you book. The average route departing Canada currently has six different flight times per day, so expect fewer options than you're used to. Question : Which airline has the least delays from Vancouver to Regina? Answer : Booking with Canadian North means you will arrive to Regina pretty close to the time your ticket states. In fact, this airline has a 100% average for getting there on time. It never hurts to be prepared. If you should choose this airline, be sure to track the flight status to stay on top of the departure time. Question : What is the cheapest airline flying from Vancouver to Regina? Answer : WestJet is your best travel expert for finding that in demand low fare. They offer fares as low as $319, while rates for other flights can cost as much as $1,085. Answer : Tuesday has the greatest variety of flight times for Vancouver to Regina with six. The day of the week with the fewest number of options is Friday with only three different times. Question : What is the cheapest date to fly to Regina? Answer : If you are looking to save, look at Apr 25th. As of Apr 15th, it's showing the cheapest ticket at $320. That is 37% below the average price for this route, so you can spend that extra money on some souvenirs. Answer : The cheapest day to fly from Vancouver to Regina is on Saturday. If you want to save a bit of cash on your next business trip look for flights on that day. Question : How long does it take to fly from Vancouver to Regina? Answer : This flight takes just about one hour and 55 minutes via WestJet. If you catch the 8:35 PM PDT departure, you'll arrive at 12:30 AM CST. Until we get the kinks worked out of our teleportation machine, this is still the one of the fastest ways to get from Vancouver to Regina (remember, there is a time change of two hours). Flight was on time, cost was good - no complaints! Great in flight service. Family loved the entertainment. I miss the days of one free checked bag but would gladly pay for that if the air carriers would actually stick to size limit restrictions for carry on luggage. Good flights both ways. No stops and no delays! I just came from an asian holiday and my 2 hr flight in asia had free meal. I dunno why it is not the same here in Canada considering we pay more for in canada flights. It took a long time for us to claim our luggage at the Regina airport. I don't appreciate WestJet's fee for checked baggage.